Technology firm RichRelevance's Digital Grocery Survey: 2018 Holiday Edition found that 44% of Americans plan to purchase groceries online this holiday season, up from 20% last year. The most popular online purchases are ingredients for side dishes (56%), canned items (51%) and beverages, including alcohol (44%). Turkey (33%) and desserts are (31%) the least likely item to be purchased online, demonstrating consumer reluctance to purchase fresh items without seeing them first. Seventy-five percent of those surveyed say they turn to online shopping to save time, but those who don’t use the services cite a lack of trust that others will pick the best or freshest items (50%) followed by a reluctance to spend extra money (37%). 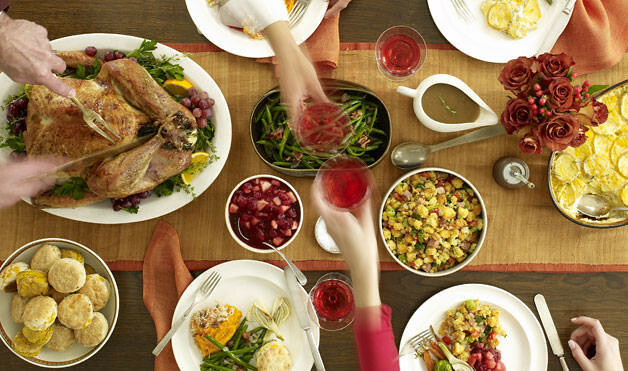 Thanksgiving week is one of the highest-selling weeks for all food and beverage categories in the U.S. — second only to the week of Christmas. In addition to accommodating high demand, retailers have had to adopt an omnichannel selling strategy that could, if executed properly, boost sales by meeting convenience needs online and offline. As this new survey shows, consumers are increasingly turning to e-commerce for shelf-stable products, while fresh items are still purchased mostly in-store. Most retailers know enough to promote these center store items on their websites, but the trick will be drilling down even deeper to discover which subcategories sell best and if there are promotional opportunities that drive traffic from one channel to another. Carefully monitoring sales and performance, as well as a post-holiday analysis will be key steps for companies. According to RichRelevance, Amazon is the top online grocery destination for shoppers (57%), followed by big-box retailers such as Walmart and Target (48%). Traditional supermarkets like Safeway and Kroger will attract a significant, but comparatively quite smaller, number of online shoppers (30%) this holiday. The season is already off to a good start for Walmart. The retailer reported Thursday that online sales rose 43% in the third quarter and expressed confidence that e-commerce sales will be up about 40% for 2018. Walmart attributed the strong results to rapidly increasing store pickup and delivery options, with pickup offered at roughly 2,100 stores and delivery available in roughly 600. Meanwhile, many grocers are enticing shoppers into their stores by offering deals on turkeys this holiday season. Safeway, ShopRite, Publix, Kroger, Stop & Shop and others are either giving them away as part of bundled offers or for very low per-pound prices. Amazon Prime members can save 50 cents per pound on turkeys at Whole Foods Markets. The birds can be reserved online and picked up in the store. In an additional step to make Thanksgiving shopping easy, many stores will be open on the holiday. Amazon Prime members will be able to take advantage of free, two-hour delivery available with Prime Now. As more and more people choose to tackle their shopping lists online, grocers will have to stay on top of customer service, making sure shoppers can find what they want when they want it. If customers have a good online experience at this busy time of year, it will likely translate to stronger in-store sales and brand loyalty once the holiday rush dies down.